Princess Alexandra, The Honourable Lady Ogilvy, KG, GCVO, CD (Alexandra Helen Elizabeth Olga Christabel; born 25 December 1936) is a member of the British royal family. Alexandra was born during the reign of King George VI to his brother and sister-in-law, Prince George, Duke of Kent, and Princess Marina of Greece and Denmark. She is a first cousin of the current British monarch, Queen Elizabeth II, and since her mother was a first cousin of the queen’s husband, Prince Philip, Duke of Edinburgh, she is also his first cousin once removed. Alexandra is the widow of businessman Sir Angus Ogilvy, to whom she was married from 1963 until his death in 2004. As of 14 December 2018, she is 52nd in the line of succession to the British throne; at the time of her birth in 1936, she was sixth. Princess Alexandra was born on 25 December 1936 at 3 Belgrave Square, London. Her parents were Prince George, Duke of Kent, the fourth son of King George V and Queen Mary, and Princess Marina of Greece and Denmark, a daughter of Prince Nicholas of Greece and Denmark and Grand Duchess Elena Vladimirovna of Russia. She was named after her paternal great-grandmother, Queen Alexandra; her grandmother, Grand Duchess Elena Vladimirovna of Russia; and both of her maternal aunts, Countess Elizabeth of Törring-Jettenbach and Princess Olga of Yugoslavia. She received the name Christabel because she was born on Christmas Day, like her aunt by marriage, Princess Alice, Duchess of Gloucester. Her birth was the last to have the tradition of having the Home Secretary present to verify the birth of potential heirs to the throne. Secretary Sir John Simon was present and was the last to do this. As a male-line granddaughter of the British monarch, she was styled as a British princess with the prefix Her Royal Highness. At the time of her birth, she was sixth in the line of succession to the British throne, behind her cousins Elizabeth and Margaret, her uncle the Duke of Gloucester, her father the Duke of Kent, and her elder brother Prince Edward. She was born two weeks after the abdication of her uncle King Edward VIII. 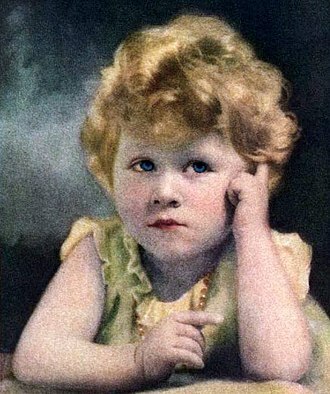 The Princess was baptised in the Private Chapel of Buckingham Palace, on 9 February 1937, and her godparents were: King George VI and Queen Elizabeth (her paternal uncle and aunt); the Queen of Norway (her grand-aunt); Princess Nicholas of Greece and Denmark (her maternal grandmother); Princess Olga of Yugoslavia (her maternal aunt); the Princess Beatrice (her paternal great-grand-aunt); the Earl of Athlone (her paternal grand-uncle); and Count Karl Theodor of Toerring-Jettenbach (her maternal uncle by marriage). 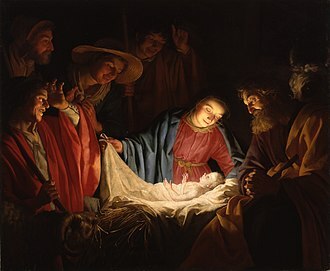 Of her godparents, only the King and Queen and Lord Athlone were present. Princess Alexandra spent most of her childhood at her family's country house, Coppins, in Buckinghamshire. 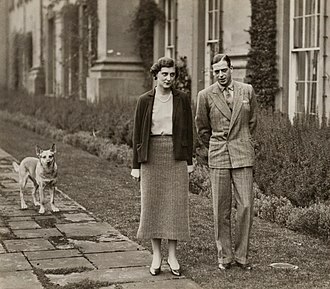 She lived with her grandmother, Queen Mary, the widow of George V, during World War II at Badminton. Her father was killed in an aeroplane crash near Caithness, Scotland on 25 August 1942 while serving in the Royal Air Force. Princess Alexandra has the distinction of being the first British princess to have attended a boarding school, Heathfield School near Ascot. She then studied in Paris. She was also trained at Great Ormond Street Hospital. She was a bridesmaid at the 1946 wedding of Captain Lord Brabourne and The Hon. Patricia Mountbatten. The following year, she served as bridesmaid at the wedding of her cousins, the then-Princess Elizabeth and The Duke of Edinburgh, on 20 November 1947. The Queen is Princess Alexandra's paternal first cousin; the Duke of Edinburgh is Princess Alexandra's maternal first cousin once removed. She was also a bridesmaid at the 1962 wedding of Prince Juan Carlos of Spain and her second cousin, Princess Sophia of Greece and Denmark. On 24 April 1963, she married the Hon. Angus James Bruce Ogilvy (1928–2004), the second son of the 12th Earl of Airlie and Lady Alexandra Coke, at Westminster Abbey. Ogilvy presented Alexandra with an engagement ring made of a cabochon sapphire set in gold and surrounded by diamonds on both sides. The wedding ceremony was attended by the royal family and was broadcast worldwide on television, watched by an estimated 200 million people. The bride wore a wedding gown of Valenciennes lace, with matching veil and train, designed by John Cavanagh with the City of London diamond fringe tiara. She made her way with her brother, the Duke of Kent, from Kensington Palace to the church. The bridesmaids included Princess Anne and Archduchess Elisabeth of Austria, and the best man was Peregrine Fairfax. The Archbishop of Canterbury Michael Ramsey conducted the service. Angus Ogilvy declined the Queen's offer to be created an earl upon marriage, so their children carry no titles. Since the late 1950s, Princess Alexandra carried out an extensive programme of engagements in support of the Queen, both in the United Kingdom and overseas. Taking part in roughly 120 engagements each year, Princess Alexandra was one of the most active members of the royal family. She made 110 engagements in 2012. However, in late June 2013 she cancelled her engagements due to arthritis. As of 2017, she is still listed on the official website of the British Monarchy as a working member of the Royal Family, attending numerous ceremonial and charitable engagements. 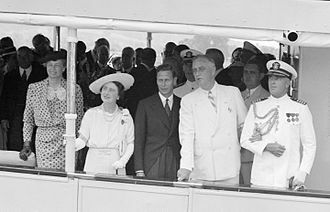 In 1959, she carried out an extensive tour of Australia, and attended the Queensland Centenary Celebrations. The Alexandra Waltz was composed for this visit by radio legend, Russ Tyson, and television musical director, Clyde Collins. It was sung for the princess by teen-aged Gay Kahler, who later changed her name to Gay Kayler. In 1961 Princess Alexandra visited Hong Kong and made a visit to So Uk Estate, a public housing complex. Princess Alexandra returned to Australia in 1967 for a private holiday, but also carried out engagements in Canberra and Melbourne. The Princess Alexandra Hospital in Brisbane is named in her honour. 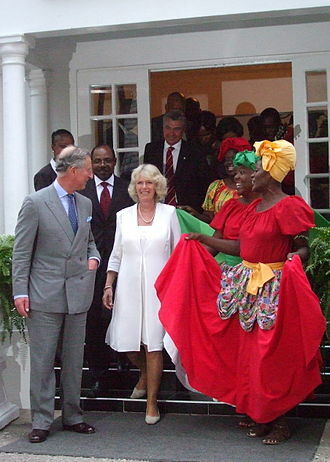 Princess Alexandra represented the Queen when Nigeria gained its independence from the United Kingdom on 1 October 1960, and opened the first Parliament on 3 October. Later overseas tours included visits to Canada, Italy, Oman, Hungary, Norway, Japan, Thailand, Gibraltar and the Falkland Islands. Princess Alexandra launched the New Zealand Leander-class frigate HMNZS Waikato at Harland and Wolff, Belfast, Northern Ireland in 1965. Princess Alexandra opened the Victoria to Brixton section of London Underground's Victoria line on 23 July 1971. 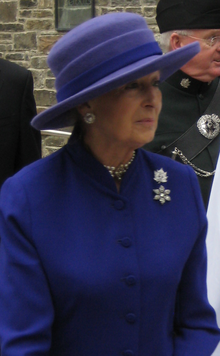 Princess Alexandra served as Chancellor of Lancaster University from its foundation in 1964 until she relinquished the post in 2004 (when she also accepted an honorary degree in Music). She also served as the first Chancellor of the University of Mauritius. She is also an honorary fellow of the Royal College of Physicians and Surgeons of Glasgow, Faculty of Anæsthetists of the Royal College of Surgeons of England, the Royal College of Obstetricians and Gynaecologists, and the Royal College of Physicians. 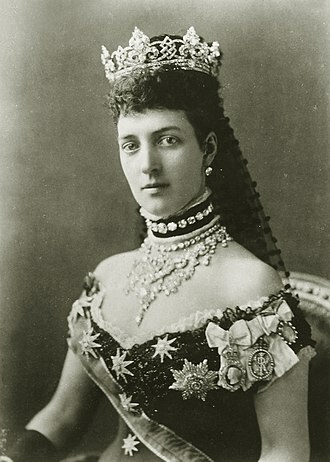 She is also the President of Alexandra Rose Day, which was founded in honour of her great-grandmother, Queen Alexandra. She was also patron of The Royal School, Hampstead. The Princess was president of WWF-UK until 2011. Until it was abolished in 2013, Princess Alexandra received £225,000 per year from the Civil List to cover the cost of official expenses, although as with the other members of the royal family (except the Duke of Edinburgh) the Queen repaid this amount to the Treasury. Alexandra lives at Thatched House Lodge in Richmond, London, a Crown property purchased on a 150-year lease from the Crown Estate Commissioners by Sir Angus Ogilvy after their wedding in 1963. She also has use of a grace-and-favour apartment at St James's Palace in London. The Princess is the patron of the Blackie Foundation Trust, a charity dedicated to the promotion of research and education in homoeopathy. She is also a patron of the English National Opera; the London Philharmonic Choir; the Florence Nightingale Foundation; the not-for-profit housing association Anchor; the charity Independent Age; St Christopher's Hospice in Sydenham, England; Core, a National charity in London dedicated to funding research into digestive diseases and which also publishes information leaflets on the most common diseases of the gut and liver; the Nature in Art Trust and London Academy of Music and Dramatic Art (LAMDA), the oldest drama school in the English-speaking world. She has been the patron of the Royal Alexandra Children's Hospital in Brighton since 1954. She is also the Royal Patron of Children and Families Across Borders (CFAB), a charity dedicated to reuniting children who have been separated from their families. She is patron of the Royal Central School of Speech & Drama in London, which received its royal style in 2012 during the Queen's Diamond Jubilee. In her role as president of Sightsavers UK, the Princess visited Washington D.C. in October 2016 to attend the Neglected Tropical Diseases NGDO Network conference partnership reception. In November 2016, one month ahead of her 80th birthday, the Queen held a reception at Buckingham Palace in honour of the work of Princess Alexandra's charities. The Alexandra Hospital in Redditch Worcestershire is named after the Princess which she opened on 2 April 1987. 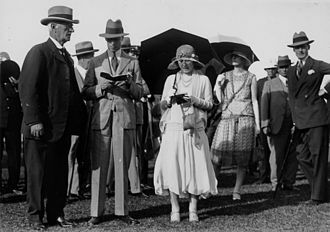 The Princess Alexandra Hospital (formerly South Brisbane Hospital) was named by and in honour of the visit by the Princess to Queensland in 1959. As a descendant of George V, Princess Alexandra's arms are based on the Royal Arms. The following explains the way in which her arms are differenced from those of the Queen. On the coronet of children of other sons of the Sovereign, composed of four crosses-pattées alternated with four strawberry leaves a lion statant guardant or, crowned with the like coronet and differenced with a label as in the Arms. The Royal Arms differenced with a five point label—the standard differentiation for a male-line grandchild of a British Monarch. The first and fifth points bear a red heart, the second and fourth points bear a blue anchor, and the third point bears a red cross. Since Princess Alexandra's mother was a first cousin of Prince Philip, Duke of Edinburgh, she is a second cousin to Charles, Prince of Wales and his siblings, in addition to being their first cousin once removed because her father was the Queen's uncle. ^ As a titled member of the Royal Family, she does not normally use a surname. When needed, her premarital surname was Windsor. ^ a b "Knights of the Orders of Chivalry". Debrett's. 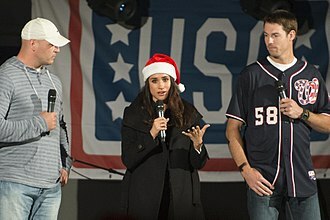 Archived from the original on 17 December 2011. Retrieved 5 March 2012. Although HRH The Princess Royal and HRH Princess Alexandra, the Hon Lady Ogilvy, are both female they are actually included with the Royal Knights Companions and they bear the post-nominal letters KG (not LG). ^ "No. 34354". The London Gazette. 28 December 1936. p. 8413. ^ a b c d Panton 2011, p. 37. ^ "Royal baby: Traditions and customs surrounding Prince William and Catherine's new baby princess". Australian Broadcasting Corporation. 3 May 2015. Retrieved 11 September 2015. ^ "Yvonne's Royalty Home Page – Royal Christenings". users.uniserve.com. Retrieved 22 May 2012. ^ a b Mishael, Herbert (24 April 1963). "Princess Alexandra to wed Ancestral foe". The Age. London. Retrieved 17 July 2013. ^ "Mayfair glamour girl not Margaret, but Alex". Pittsburgh Post Gazette. London. AP. 19 January 1956. Retrieved 17 July 2013. ^ "Royals At Wedding". Getty Images. ^ a b c d e f Panton 2011, p. 38. ^ a b c d "Royal Spring Wedding". British Pathe News. 1963. Retrieved 24 March 2018. ^ "Princess Alexandra of Kent's gown". The Royal Order of Sartorial Splendor. 27 April 2011. Retrieved 24 March 2018. 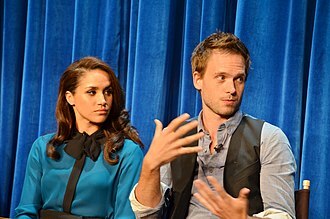 ^ "One More Scandal For British Royalty". The New York Times. 17 October 1989. Retrieved 1 August 2018. ^ "Unwed Pregnant Royal Cousin Petitions Queen". Los Angeles Times. 9 October 1989. Retrieved 1 August 2018. ^ "Princess Alexandra steps down from public duties". Royal Central. 30 June 2013. Retrieved 24 March 2018. ^ "Princess Alexandra". Official website of the Royal Family. Retrieved 20 June 2017. ^ Acheson, Mark (29 June 2017). 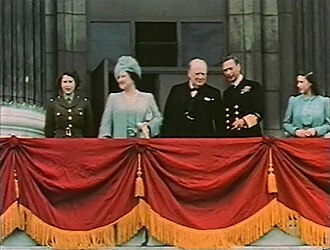 "Watch: Hong Kong's Royal visit in 1961". Portsmouth News. Retrieved 24 March 2018. ^ "Princess Alexandra's Visit (1967)". British Pathé. YouTube. 13 April 2014. Retrieved 24 March 2018. ^ "HMNZS Waikato (Leander-class Frigate)". National Museum of the Royal New Zealand Navy. Retrieved 24 March 2018. ^ Green, Oliver (1988). The London Underground – An Illustrated History. Ian Allan. p. 59. ISBN 978-0-7110-1720-7. ^ "Chancellor's Installation". Lancaster University. Retrieved 25 March 2018. ^ "Port Louis – Princess Alexandra visits Mauritius – 1972". ^ "HRH Princess Alexandra (b.1936), GCVO, in Evening Dress". Art UK. 1960. Retrieved 24 March 2018. 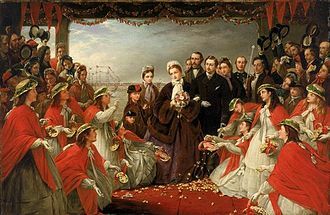 The painting is on display in the Alexandra Room in the Royal College of Physicians and Surgeons of Glasgow (Princess Alexandra became an Honorary Fellow in 1960). 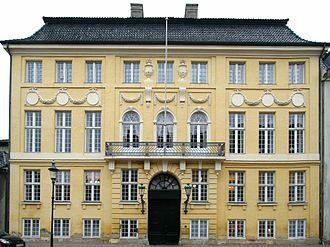 ^ "Faculty of Anæsthetists of the Royal College of Surgeons of England". Anaesthesia. 22 (3): 537–539. July 1967. doi:10.1111/j.1365-2044.1967.tb02794.x. ^ "Honorary Fellows". Royal College of Obstetricians and Gynaecologists. Retrieved 25 March 2018. ^ "History". Alexandra Rose Charity. Retrieved 25 March 2018. Our Patron is her great granddaughter, HRH Princess Alexandra. ^ Carrier, Dan (5 July 2007). "Royal premiere for school's first song". Camden New Journal. Retrieved 25 March 2018. ^ "New President for WWF-UK". London: WWF. 9 September 2011. Retrieved 25 March 2018. ^ Kelso, Paul (6 March 2000). "The royal family and the public purse". The Guardian. Retrieved 25 March 2018. ^ "The Royal Residences". Official website of the British Monarchy. Archived from the original on 15 October 2014. ^ "ENO board". English National Opera. Retrieved 25 March 2018. ^ "News". LPC. Retrieved 22 May 2012. ^ "Princess Alexandra Attends Service to Commemorate the Life of Florence Nightingale". Westminster Abbey. May 2011. Retrieved 25 March 2018. ^ "HRH Princess Alexandra visits Augusta Court care home". Anchor. 29 September 2016. Retrieved 25 March 2018. ^ "Our people". Independent Age. Retrieved 25 March 2018. ^ "HRH Princess Alexandra makes annual visit to St Christopher's Hospice". St Christopher's. 12 January 2018. Retrieved 25 March 2018. ^ "Core – The Digestive Disorders Foundation (Annual Report and Financial Statements)" (PDF). Core. 31 December 2016. Retrieved 25 March 2018. ^ "Nature in Art – Trust". Nature in Art Trust. Retrieved 23 March 2010. ^ "LAMDA Trustees". London Academy of Music and Dramatic Art. Retrieved 25 March 2018. ^ "Opening of LAMDA". Níall McLaughlin Architects. June 2017. Retrieved 25 March 2018. ^ Collis 2010, p. 288. ^ "Royal Central School of Speech and Drama – University of London (Financial Statements)" (PDF). Royal Central School of Speech and Drama. 31 July 2014. Retrieved 25 March 2018. ^ "Princess Alexandra visits Washington for NTDs conference". Sightsavers. October 2016. Retrieved 25 May 2018. 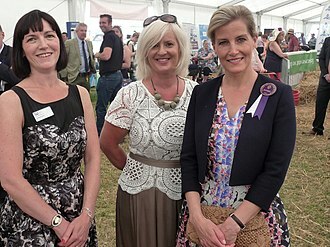 ^ "Reception to celebrate Princess Alexandra's patronages". Official website of the Royal Family. 29 November 2016. Retrieved 25 March 2018. ^ "Orders of Chivalry". St George's Chapel. Archived from the original on 20 August 2008. ^ "No. 42230". The London Gazette. 27 December 1960. p. 8869. ^ "Wedding of Juan Carlos of Spain and Sophia of Greece" (in Spanish). Archived from the original on 6 March 2014. ^ "Powder Horn" (PDF). The QOR of C. December 2010. Retrieved 17 July 2013. ^ "The Colonel-in-Chief". The Rifleman Online. Retrieved 17 July 2013. ^ "Colonel-in-Chief". The Canadian Scottish Regiment. Retrieved 17 July 2013. ^ "No. 40656". The London Gazette. 16 December 1955. p. 7071. ^ "No. 56777". The London Gazette (Supplement). 10 December 2002. p. 14986. ^ "No. 46542". The London Gazette (Supplement). 15 April 1975. p. 4820. ^ "No. 52834". The London Gazette (Supplement). 14 February 1992. p. 2582. ^ "No. 44159". The London Gazette (Supplement). 1 November 1966. p. 11803. ^ "No. 55974". The London Gazette (Supplement). 19 September 2000. p. 10420. Panton, Kenneth J. (2011). Historical Dictionary of the British Monarchy. Scarecrow Press, Inc. ISBN 978-0-8108-5779-7. Wikimedia Commons has media related to Princess Alexandra, The Honourable Lady Ogilvy. Princess Olga of Greece and Denmark was the granddaughter of King George I of Greece and wife of Paul, Prince Regent of Yugoslavia. Princess Olga was born in Athens, Greece, on 11 June 1903 and her father was Prince Nicholas of Greece and Denmark, the third son of George I of Greece. Her mother was Grand Duchess Elena Vladimirovna of Russia, a granddaughter of Tsar Alexander II of Russia, the family was generally poor and forced into exile when she was 11, following the overthrow of the Greek monarchy. The family moved to Paris, whereas the Princess stayed throughout Europe with her extended family, brought up in relative poverty, Princess Olga was engaged to Prince Frederick of Denmark in 1922. In the end she married HRH Prince Paul of Yugoslavia in Belgrade on 22 October 1923, Prince Paul was the regent after the assassination of King Alexander I of Yugoslavia. They have two set of twins and three grandchildren, after their divorce in 1967 he married Princess Barbara of Liechtenstein on 2 November 1973. Subsequently and Pakistan and Ceylon became Dominions. By the early 1950s, in order to reflect the equality between the countries in that group, each came to be known as a realm. The word was used in Britains proclamation of Elizabeth II as queen in 1952 and was adopted for the modern royal styles and titles under the legislation enacted by the individual countries. The principle was applied to countries as they became Commonwealth realms. The phrase Commonwealth realm, though used officially, is not a statutory term, the number of independent countries in the Commonwealth of Nations all sharing the same person as monarch reached 18 between 1983 and 1987. The Commonwealth realms are, for purposes of international relations, sovereign states, political scientist Peter Boyce called this grouping of countries associated in this manner, an achievement without parallel in the history of international relations or constitutional law. Since each realm has the person as its monarch, the diplomatic practice of exchanging ambassadors with letters of credence. Diplomatic relations between the Commonwealth realms are thus at a cabinet level only and high commissioners are exchanged between realms, a high commissioners full title will thus be High Commissioner for Her Majestys Government in. Opinion on the prospect of the coming to fruition is mixed. 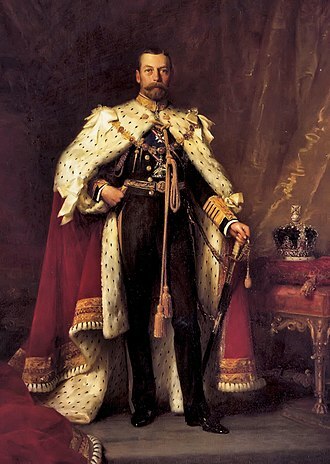 This means that in different contexts the term Crown may refer to the extra-national institution associating all 16 countries, from a cultural standpoint, the sovereigns name and image and other royal symbols unique to each nation are visible in the emblems and insignia of governmental institutions and militia. 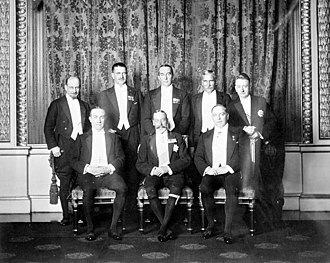 By 1959, it was being asserted by Buckingham Palace officials that the Queen was equally at home in all her realms and this convention was first applied to the abdication of Edward VIII in 1936. 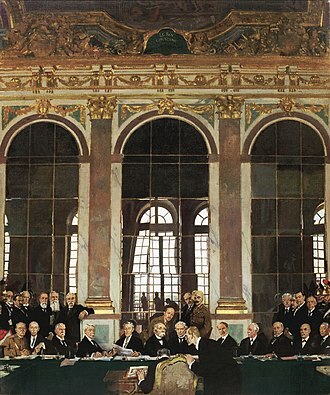 For expediency and to avoid embarrassment, the British government had suggested that the Dominion governments automatically regard the monarch of the UK, whoever this may be, as their monarch also. Sir Maurice Gwyer, first parliamentary counsel in the UK, reflected this position and these changes came into effect on 26 March 2015. Prince George of Cambridge is the elder child and only son of Prince William, Duke of Cambridge, and Catherine, Duchess of Cambridge. He is third in line to succeed his paternal great-grandmother, Queen Elizabeth II, after his grandfather, Prince of Wales. On 3 December 2012, Clarence House announced that the Duke, at less than twelve weeks, the announcement was made earlier in the pregnancy than is traditional because of the Duchesss admission to hospital with hyperemesis gravidarum. During this time, a couple of Australian radio jockeys attempted to ring up the Hospital and they tried to put on fake British accents and mimicked the Queen and Prince Charles. The nurse who answered their call committed suicide, before the birth, there was speculation the event would boost the British national economy and provide a focus for national pride. 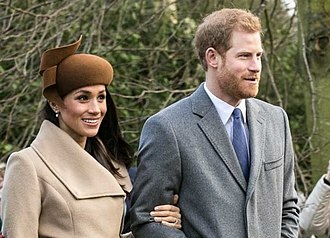 Welsh composer Paul Mealor, who composed Ubi Caritas et Amor for the wedding of the Duke and Duchess, composed a lullaby entitled Sleep On, a recording was made of it by New Zealand soprano Hayley Westenra as a gift for the baby. Commemorative coins were issued by the Royal Mint, Royal Canadian Mint, and Royal Australian Mint, the Duchess was admitted to St Marys Hospital, London, in the early stages of labour on 22 July 2013. She gave birth to a boy weighing 8 pounds 6 ounces at 16,24 BST the same day, Queen Elizabeth IIs former gynaecologist, Marcus Setchell, delivered the baby assisted by Guy Thorpe-Beeston, Sunit Godambe and Physician to the Queen John Cunningham. The midwifery team accompanying the gynaecologists was led by Imperial College Healthcare NHS Trusts director of midwifery Professor Jackie Dunkley-Bent, William was by his wifes side when she gave birth. The Duchess and her baby, accompanied by the Duke, left hospital on 23 July, William took the full two weeks paternity leave from his job allowed by the Ministry of Defence. Julia Samuel, William van Cutsem and Zara Tindall serving as godparents, the ceremony used a font that was made for Queen Victorias first child and water from the River Jordan. The Royal Mint issued a set of coins to celebrate the christening. George, with his parents, embarked on his first royal tour in April 2014 and his first public engagement of the tour was on 9 April at a playdate at Government House, organised by the New Zealand parenting organisation, Plunket. On 20 April, Easter Sunday, he met a bilby named after him at Taronga Zoo in Sydney, the BBC said at the end of the tour theres no doubt Prince George stole the limelight. Georges first birthday party was themed around childrens author Beatrix Potter, on 2 May 2015, George visited the hospital of his birth after the birth of his sister Charlotte, his first public appearance in the United Kingdom. In January 2016, George started his education at the Westacre Montessori School Nursery and that April, he was photographed for postage stamps to mark his great-grandmothers 90th birthday, alongside his father and grandfather. On 22 April of that year, he met President of the United States Barack Obama and he was photographed with a rocking horse that Obama had given him when he was born. Prince Henry, Duke of Gloucester, KG, KT, KP, GCB, GCMG, GCVO, PC was a soldier and third son of King George V and Queen Mary. He served as the eleventh Governor-General of Australia from 1945 to 1947, the Duke served as a soldier for most of his life. At his death in 1974, he was the last surviving knight of the Order of St. Patrick, as well as the last surviving child of King George V, Prince Henry was born on 31 March 1900, at York Cottage, on the Sandringham Estate. 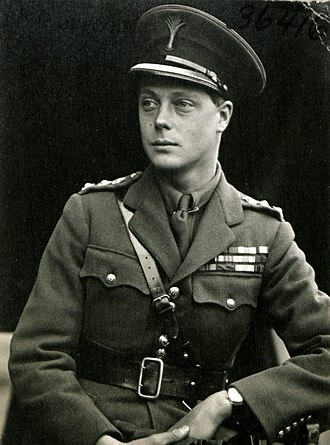 His father was the Duke of York, the eldest surviving son of the Prince of Wales and his mother was Mary of Teck, the only daughter of Prince Francis, Duke of Teck and Princess Mary Adelaide of Cambridge. At the time of his birth, he was fifth in the line of succession to the throne, behind his grandfather, father and he was informally known to his family as Harry. As a young boy, Prince Henry suffered from ill health very much like his older brother Albert and he had knocked knees and had to wear painful leg splints. He was a nervous child, and was often victim to spontaneous fits of crying or giggling. On top of this, Henry had a nasal lisp, by 1909, Henry’s poor health had become a serious concern for his parents. 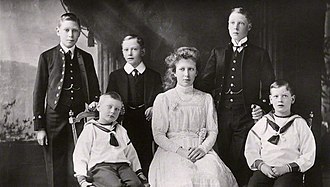 He was very small for his age and was prone to get very aggressive colds, “You must remember that he is rather fragile and must be treated differently to his two elder brothers who are more robust, ” wrote Prince George to Henry’s tutor, Henry Peter Hansell. 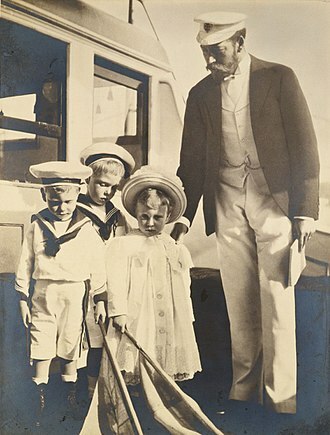 On 6 May 1910, Prince George became king and Henry, the King was persuaded by Mr. Hansell that it would be good for Henry’s character to attend school, where he could interact with boys his age. The King, having previously rejected this proposition for his two sons, agreed on the basis that it would help him “behave like a boy. Prince Henry became the first son of a British monarch to attend school. After three days at St Peters Court in Broadstairs, as a day boy, Mr. Hansell, noticing he liked it, asked the King to send him as a boarder, Henry spent three years at St Peters Court. 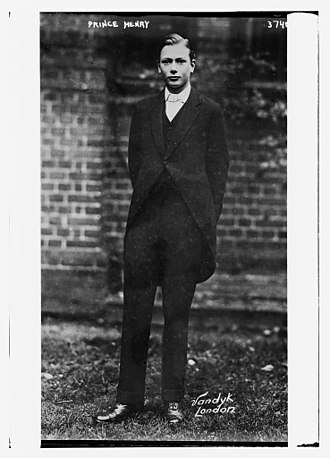 Academically, he was not very bright, although he did show a particular aptitude in mathematics, Henry’s sole interest became sports, particularly cricket and football. Prince William, Duke of Cambridge, KG, KT, PC, ADC is the elder son of Charles, Prince of Wales, and Diana, Princess of Wales. 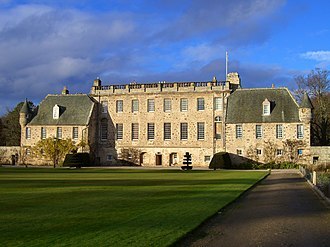 He is second in line to succeed his grandmother, Queen Elizabeth II, William was educated at four schools in the United Kingdom and obtained a degree from the University of St Andrews. He spent parts of a gap year in Chile, Belize, in December 2006, he completed 44 weeks of training as an officer cadet and was commissioned in the Blues and Royals regiment. In April 2008, he qualified as a pilot by completing training at Royal Air Force College Cranwell. He underwent helicopter flying training in order to become a pilot with the RAF Search. 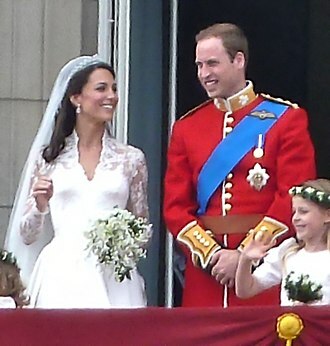 His service with the British Armed Forces ended in September 2013, William married Catherine Middleton, on 29 April 2011 at Westminster Abbey. Hours before the wedding, he was created Duke of Cambridge, Earl of Strathearn, the couples first child, Prince George, was born on 22 July 2013, and their second, Princess Charlotte, was born on 2 May 2015. William, the first child of the Prince and Princess of Wales, was born at St Marys Hospital and his names, William Arthur Philip Louis, were announced by Buckingham Palace a week on 28 June. 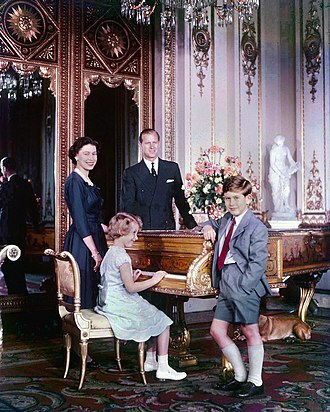 He was baptised in the Music Room of Buckingham Palace on 4 August by the Archbishop of Canterbury and he was the first child born to a Prince and Princess of Wales since Prince John in 1905. William was affectionately called Wombat by his parents or Wills, Williams first public appearance was on 1 March 1991, during an official visit of his parents to Cardiff, Wales. After arriving by aeroplane, William was taken to Llandaff Cathedral where he signed the visitors book, on 3 June 1991, William was admitted to Royal Berkshire Hospital after being accidentally hit on the side of the forehead by a fellow student wielding a golf club. He did not lose consciousness, but suffered a fracture of the skull and was operated on at Great Ormond Street Hospital. In a 2009 interview, he dubbed this scar a Harry Potter scar and he was reported to have said, I call it that because it glows sometimes and some people notice it—other times they dont notice it at all. Princess Margaret, Countess of Snowdon, CI, GCVO, GCStJ was the younger daughter of King George VI and Queen Elizabeth of the United Kingdom and the only sibling of Queen Elizabeth II. Margaret spent much of her childhood in the company of her older sister and her life changed dramatically in 1936, when her paternal uncle, King Edward VIII, abdicated to marry a divorcée, Wallis Simpson. Margarets father became King, and her sister became heir presumptive. 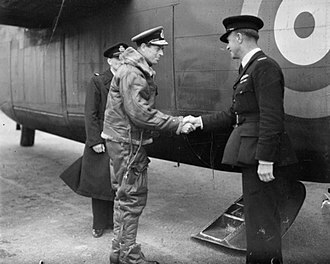 During World War II, the two stayed at Windsor Castle, despite suggestions to evacuate them to Canada. During the war years, Margaret was considered too young to perform any official duties, after the war, Margaret fell in love with Group Captain Peter Townsend. In 1952, Margarets father died, her sister became Queen, early the following year, he proposed to Margaret. Many in the government believed he would be a husband for the Queens 22-year-old sister. Margaret eventually abandoned her plans with him and in 1960, she accepted the proposal of the photographer Antony Armstrong-Jones, Margaret was often viewed as a controversial member of the British royal family. Her divorce earned her publicity, and she was romantically associated with several men. Her health gradually deteriorated in the two decades of her life. A heavy smoker for most of her life, she had a lung operation in 1985, a bout of pneumonia in 1993. She died at King Edward VII Hospital on 9 February 2002, Margaret was born on 21 August 1930 at Glamis Castle in Scotland, her mothers ancestral home, and was affectionately known as Margot within the royal family. The Home Secretary, J. R. Clynes, was present to verify the birth, the registration of her birth was delayed for several days to avoid her being numbered 13 in the parish register. 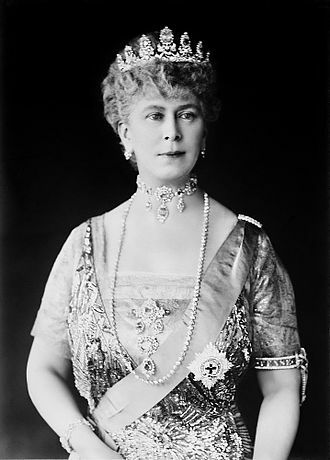 At the time of her birth, she was fourth in the line of succession to the British throne and her father was Prince Albert, Duke of York, the second son of King George V and Queen Mary. Her mother was Elizabeth, Duchess of York, the youngest daughter of the 14th Earl, King George V disliked the name Ann but approved of the alternative Margaret Rose. Margaret was baptised in the chapel of Buckingham Palace on 30 October 1930 by Cosmo Lang. This is a list of British princesses from the accession of George I in 1714. This article deals with both princesses of the royal and women who become princesses upon marriage. 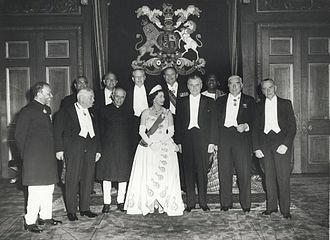 The use of the title of Princess of the United Kingdom of Great Britain, individuals holding the title of princess are styled Her Royal Highness. Under the current practice, princesses of the blood royal are the legitimate daughters and they are dynasts, that is potential successors to the throne. For these individuals, the title Princess of the United Kingdom of Great Britain and Northern Ireland, the title Princess and the style Royal Highness is prefixed to the Christian name, before another title of honour. From 1714 until 1917, the great granddaughters of the Sovereign were titled Princess of Great Britain. Since 1917, the great granddaughters of the Sovereign have held the style and title enjoyed by the children of dukes. For example, the daughters of the current Duke of Gloucester, princesses by marriage are the recognised wives of the Sovereigns sons and male-line grandsons. Generally, these women are entitled to the style Royal Highness by virtue of marriage, Queen Elizabeth II issued Letters Patent dated 21 August 1996 stating that any woman divorced from a Prince of the United Kingdom would no longer be entitled to the style Royal Highness. This has so far applied to Diana, Princess of Wales, for example, Prince George, Duke of Cambridge, a male-line grandson of George III, married Sarah Louisa Fairbrother, in contravention of the Royal Marriages Act. Although morganatic marriage did not exist in British law, the wife was never titled the Duchess of Cambridge or accorded the style Her Royal Highness. Instead, she was known as Mrs FitzGeorge, the wife of a prince of the blood takes her husbands Christian name in her title as do all married royal women. For example, upon her marriage to Prince Michael of Kent in 1978, upon her marriage to Prince Richard of Gloucester, the former Birgitte van Deurs assumed the title and style of Her Royal Highness Princess Richard of Gloucester. Prince Michael of Kent, GCVO CD is a paternal first cousin of Queen Elizabeth II, being a grandson of King George V and Queen Mary. Prince Michael occasionally represents the Queen at some functions in Commonwealth realms outside the United Kingdom, otherwise, he manages his own consultancy business and undertakes various commercial work around the world. He has presented some television documentaries on the families of Europe. He is named after Grand Duke Michael Alexandrovich of Russia, the brother of Tsar Nicholas II of Russia. 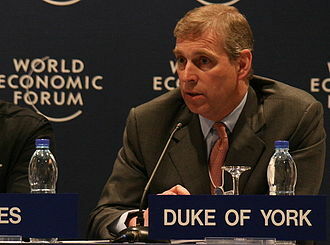 Since his mother was a cousin of Prince Philip, he is a cousin to Prince Charles. Prince Michael was born on 4 July 1942, at Coppins, Iver, at the time of his birth Prince Michael was seventh in the line of succession to his uncle, King George VI. 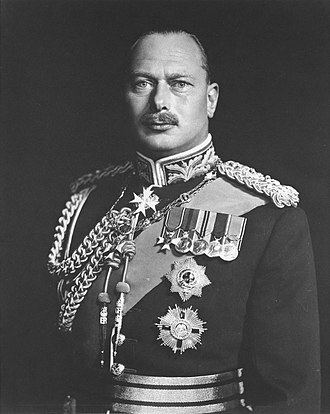 His mother was Princess Marina of Greece and Denmark, Duchess of Kent, the Hereditary Princess of Greece, the wife of Paul of Greece, his first cousin-once-removed, the Duke of Gloucester, the Dowager Marchioness of Milford Haven, and Lady Patricia Ramsay. 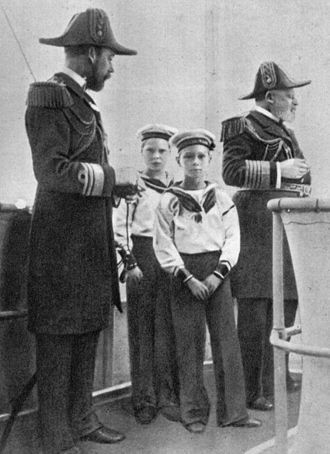 Because of the war, newspaper reports did not identify the location of the christening, at the age of five, Prince Michael was a page boy at the wedding of his cousins, Princess Elizabeth and Lieutenant Philip Mountbatten. Educated at Sunningdale School and Eton College, Prince Michael entered the Royal Military Academy, Sandhurst, in January 1961, from where he was commissioned into the 11th Hussars, in 1963. He saw service in Germany, Hong Kong, and Cyprus, subsequent tours of duty, during a military career that spanned twenty years, included a number of appointments on the Defence Intelligence Staff. He retired from the Army with the rank of Major in 1981, in 1994, Prince Michael was made Honorary Commodore of the Royal Naval Reserve, and in 2002 he was made Honorary Air Commodore of RAF Benson. 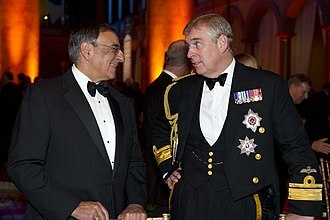 From 2009 to 2012 he was Regimental Colonel of the Honourable Artillery Company and has been, since 31 January 2012 and he is Colonel-in-Chief of the Essex and Kent Scottish Regiment in Canada. 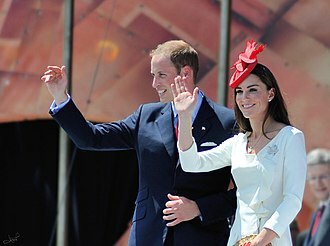 He has performed duties in the Commonwealth realms other than the United Kingdom and has represented the Queen abroad. Princess Olga and Prince Paul on their wedding day, 1923. Prince Paul and Princess Olga during his reign as prince regent. HRH The Duchess of Cambridge, granddaughter-in-law of the Queen. 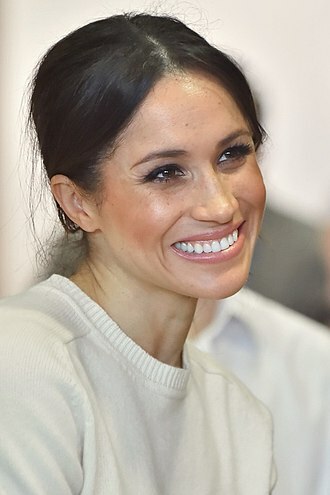 HRH The Duchess of Sussex, granddaughter-in-law of the Queen.